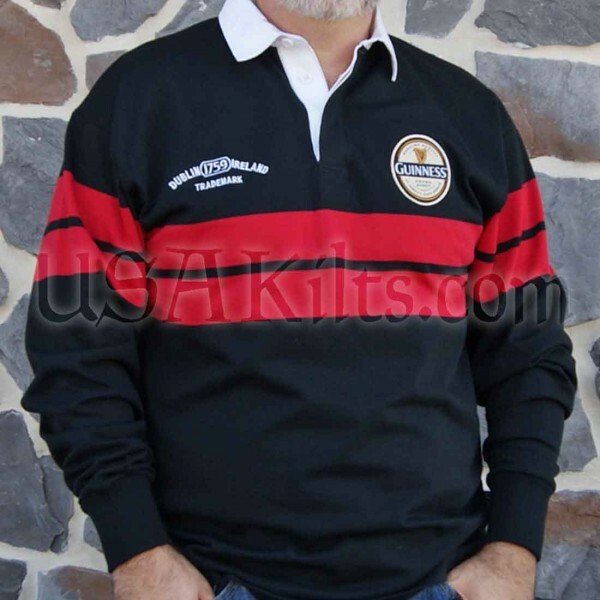 This authentic Guinness long sleeve rugby shirt is made of 100% cotton. It is black with 2 red stripes and features knit cuffs for a snug fit. 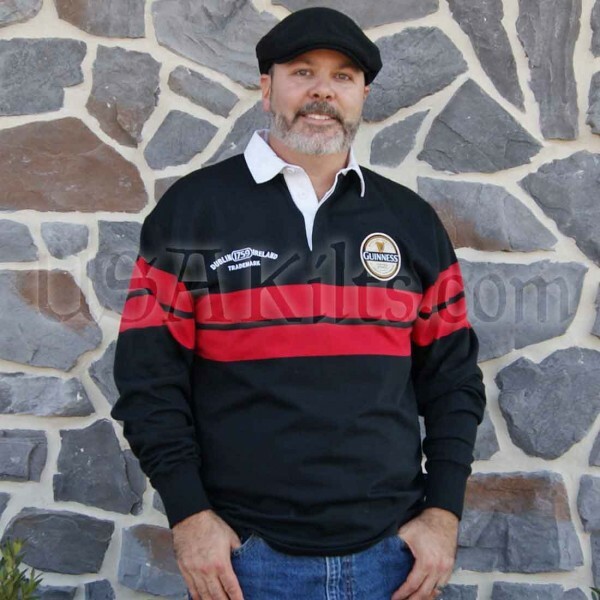 The shirt has a collar with 3 rubber buttons. 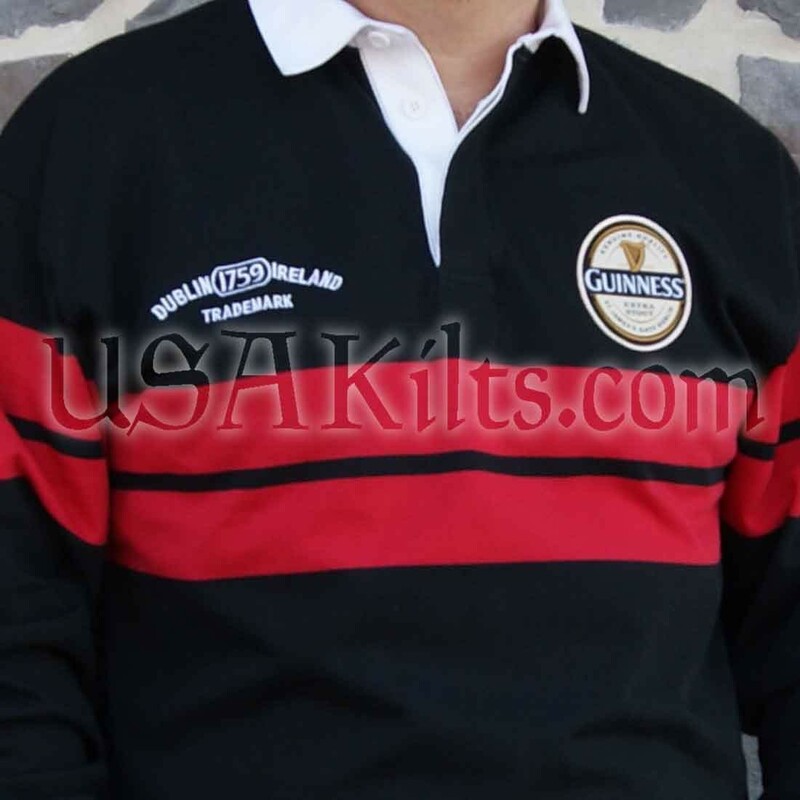 There is an embroidered Guinness logo on the right chest and a logo patch on the left chest.